Expires 10/31/14. Not valid with any other offer. Valid for Two people. No appointment necessary. Includes canvas, paints, brushes, and instructions if needed. Hours are Mon-Sat 11-5 pm and Sunday 12-4 pm. Closed Wednesday. 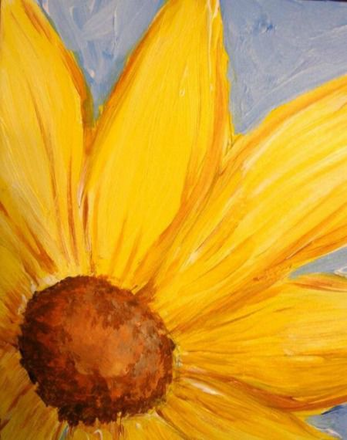 The paint bar is where you can come in and paint on your own, without a structured class environment. You can choose instructions for a step-by-step guide that walks you through your painting of choice. Or you can let the art bug take you and go with the flow! If you get stuck, the Traveling ARTists are here to help. Come into the paint bar, BYOB and find your inner artist. We’ll provide you with all necessary art supplies. Ashley and Shannon at Traveling Art are certified art instructors with over 10 years of teaching experience. They will walk you through the steps it takes to make a fine work of art. They are available for private lessons, art parties, and workshops.